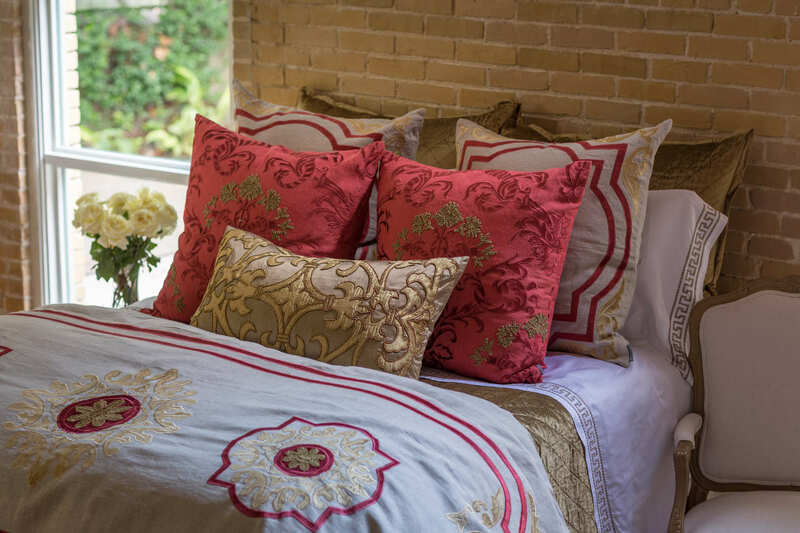 Lili Alessandra Barcelona Stone Linen with Cinnabar and Straw Velvet Pillows & Bedding Collection . 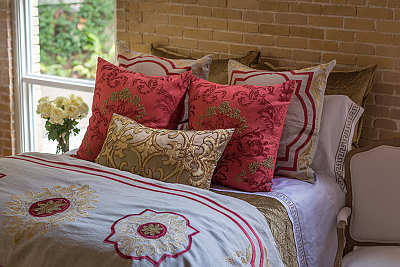 Lili Alessandra Barcelona collection of stone linen with cinnabar and straw velvet applique pillows. Coordinating duvet, coverlet, pillows, throw, and bed skirt create this bold, rich bedding ensemble. 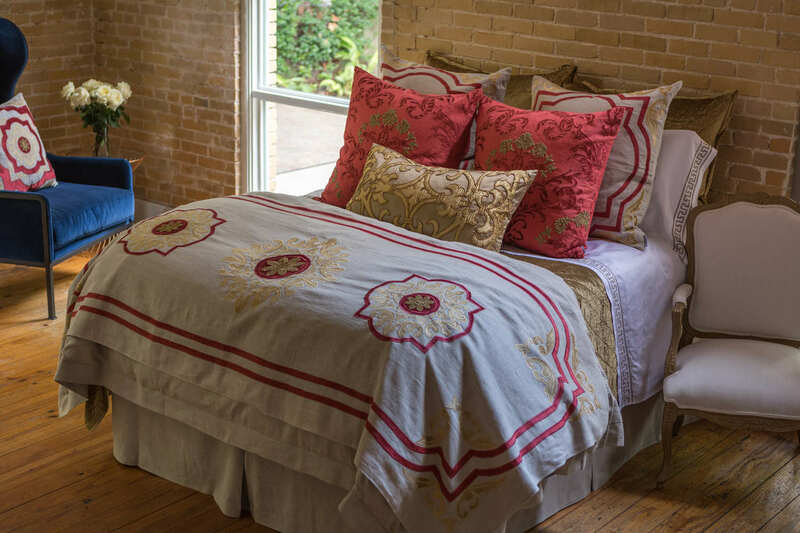 Three-panel bedskirt with 22" drop fits Queen and King size beds. Pillow prices include 95/5 down filled inserts. Louie Natural White Throw close up.